a.k.a. " The Shadows of Time"
What sounds lurk in the hearts of aging Baby Boomers? and has subsequently appeared on several other web sites in the US and in Europe. I was watching Daryn Kagan's interview with U2's Bono on CNN the day after George Harrison died. Bono was really pretty articulate about the influence of the Beatles, and George in particular, on music and on culture. When asked how the Beatles influenced U2 he replied "Just by being in a band… When you're in a band it's you and your mates against the world". I suppose to most listeners the statement made no sense….but to me it said so much. My band was THE SHADOWS. And this is my story of THE SHADOWS. Rick Eck and I were buddies at Jackman Junior High School in Newburyport, Massachusetts. Rick took trumpet lessons, I played the clarinet. That's when Beatlemania hit the USA - Rick & I were in the 8th grade. Wow! It was just incredible! Our parents told us it was just a passing fad...but we knew better (and that time we were right). Rick & I couldn't play guitars at the time, but still we wanted a piece of that action. Our first rock and roll "gig" was actually before we could even play - we put together a Beatles pantomime at the 8th grade dance during the spring of 1964. Using an assortment of cardboard, broom handles, hatboxes for "equipment", we mimicked the Beatles Ed Sullivan appearance. I was John Lennon, Rick was Paul McCartney (in case anyone wonders, Larry Martin was George, and Andy Brown was Ringo). It was very cool. That was the point from which Rick & I began our quest for Rock n’ Roll stardom. That following summer we actually did start learning how to play guitar. In the fall of 1964 Rick & I entered Newburyport High School, where we shortly hooked up with John Lowell. John lived in the neighboring town of Newbury, and he and I had known each other a bit previously. The three of us shared the same passion, and the same level of musical competence. We'd get together most days after school, play music, listen to music, hang out, play some more music. We were more than good friends, we had become a band. Time to place this in the context of our then known world. The Jackman School was one of 3 neighborhood junior high schools in Newburyport, a very small seaport city in the northeastern corner of Massachusetts, about 35 miles and 100 years distant from Boston. Our world expanded tremendously when the kids from those 3 neighborhood schools, together with the kids from junior high schools in the adjacent rural towns of Newbury, Rowley and Salisbury, all funneled into Newburyport High School. But we really knew little beyond that - white middle class Yankee boys, brothers and sisters, two parents…hardly the stuff of cutting edge blues driven rock. We settled on a name - THE SHADOWS. None of us can remember who came up with the name; it was just OUR name. We were completely oblivious to the fact that a British band already existed with the name. We sort of arbitrarily decided the instrument lineup: I would play lead, Rick would play bass, and John would play rhythm. I can't remember the make of my guitar…some economy Japanese model with a 2x4 for a neck, played through a little amp of similar caliber. 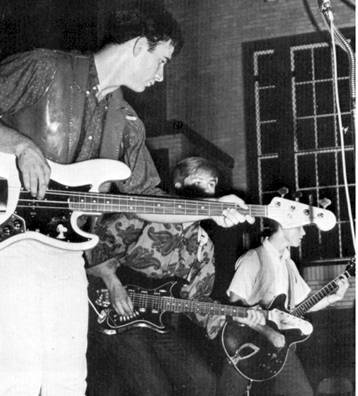 John played a Kent, and Rick started with a Kay 6-string from which he removed 2 strings, thus making it a bass! John had a cousin in nearby Amesbury who played drums, and actually had a drum kit! So Paul Webber became The Shadows' first drummer. The Shadows first performances were in late fall of 1964. The debut was at an NHS school assembly. Then our very first paid gig - a teen dance at Peoples Methodist Church. We got paid $8.00, total. But despite the sparkling, professional looking drums, which was undeniably the best equipment we had, we quickly came to the realization that it wasn't happening with Paul. There was no hanging out with Paul after school, transportation was always a problem, and Paul had a lot of other "commitments". So I had to tell Paul it was over. Teddy Stanwood then joined the band on drums. Teddy also had drums, loved playing like we did, had few other obligations, and was very easy to get along with. 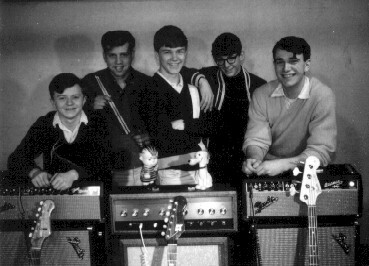 This was in the spring of 1965, and this was when The Shadows began to blossom into a real rock band. We became reasonably proficient players. We learned how to sing together. We got some real gear. We began to look for gigs. Most of the music we played was then current pop stuff - Beach Boys, Beatles, Rolling Stones, Animals and assorted others. We were never a particularly good copy band. Instead, we generally took the pop tunes and did them our own way. I'm sure part of it was that we weren't yet good enough to make them sound like the originals. But the larger part of it was that we just liked to play - it wasn't a strategic decision or anything, we'd just do them the way they felt right to us. After all, that was how the Beatles did cover tunes, wasn’t it? We were a band. That's how we saw ourselves, and increasingly that's how our peers defined us. We played Rock n' Roll, but we were also very clean cut, polite boys who generally stayed out of trouble, and did well in school. We had dynamic stage presence. We were popular with the kids, we were popular with teachers and administrators, and we were at least tolerated by most parents. We became a staple at local community and school functions, undeniably getting much more than our fair share of local gigs. But we weren't the only band in town. Like in any town during the “Garage Era”, there were lots of other kids trying to put bands together. Although there was a certain camaraderie, there was also intense rivalry among the bands. A principal rival for The Shadows was The Electras (which later became The General Cause). They used to refer to us as The "Cute" Shadows. We were. They had a much rougher image. In our local world, we were The Beatles, and they were The Rolling Stones. Brian Chase played a Farfisa in the "Cause". We all admired Brian's playing, as well as his voice. Despite the rivalry thing, Brian became a good friend. None of us can seem to remember the reasons why, but in 1966 the General Cause took an extended break. So for a short period Brian became one of The Shadows. For us as individuals, as well as The Shadows as a band, this was a period of rapid creative growth. We were still the “cute” Shadows, naïve kids from the suburbs with stars in their eyes, but there was also something special, and we knew it. We were very popular locally (especially with the girls – no one could croon a pop ballad like John Lowell). We were also starting to reach out a bit, playing some gigs outside of our local area. We entered a bunch of Battles of The Bands, competing with other regional bands. We never won 1st place, but we did come in second – every single one we entered. It wasn’t that we were technically great – invariably one of the top 3 bands was far superior in that department. Nor was it that we “knew somebody” (which, to us, also always appeared to be the case for one of the other top 3 bands). It was just that we had something in the way we played and sang together, and people responded to it. Some time around early ’67 the General Cause regrouped, and Brian returned to the fold. No animosity or anything, it all seemed natural to us. Then in the spring of ’67 Teddy told us he would be leaving the band when he graduated from high school in June. I expect that for most local bands during that time this double whammy would have sent the band into an unrecoverable tailspin. But you see, for Rick, John and myself, we really were a band – us against the world! The Shadows carried on as before, a little more mature, and a little more musical savvy. Replacing Teddy proved to be no problem. You see, The Shadows was a pretty popular local band, and there were quite a few competent drummers who would have liked to take his place. It was Bill Roberts who took Teddy’s place. Bill was a few years older than the rest of us. He kept a nice beat, and he seemed to have a little more business sense than we did. We were right. 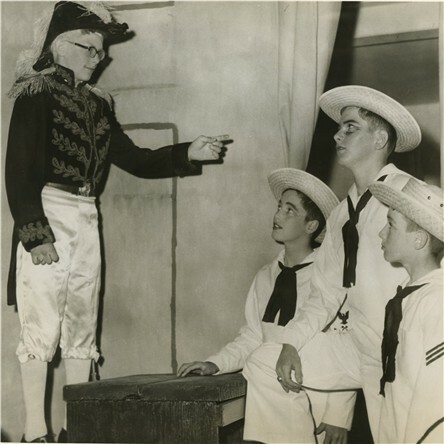 The band continued to improve, and we also started to get a lot more gigs – to the point where our parents were beginning to get a bit alarmed (after all, we were supposed to all be on the standard college prep track!). I guess it was some time early in ’68 that we decided that we better change the name – after all, Rock n’ Roll stardom was only just around the corner, and we surely didn’t want to get sued by the U.K. band of the same name. Showing a bit of marketing flair, and an emerging psychedelic influence, we settled on the intriguing name “The Shadows of Time”. In the spring of ’68 Rick, John and myself graduated from Newburyport High School (along with all of the members of The General Cause as well). As had been preordained, the three of us were indeed bound for separate colleges, though we vowed that The Shadows of Time would live on. The General Cause was not quite so tight, so in the summer of ’68 Brian returned as a Shadow. That was a pretty busy summer for us, with performances well beyond our local area. The Shadows of Time did indeed live on through that first year of college. John in Maine, I in New Hampshire, and Rick in Florida. We kept in touch, got together during breaks, and regrouped immediately in late spring. Hardly missed a beat! That summer Bill Roberts brought in his friend Oodie Smith. Oodie had one of those golden voices – could croon a ballad even better than John. With Oodie singing we started getting a number of General Business gigs – the kind that paid pretty well! But you see it took away from our emerging hard edge, slowly it eroded our naiveté and broke our musical cohesion, and ultimately, our band identity. I don’t know if any of us actually saw the end coming. I know I didn’t. So it was during that summer of ’69 that we took our bold step towards Rock n’ Roll immortality….we laid down some hard earned cash (most of it was Bill’s) and booked time in a professional recording studio to produce our first record. For the “A” side we chose one of Brian’s originals, “Search Your Soul”, which we considered an intriguing contemporary rocker. The “B” side was to feature Oodie’s golden voice doing a cover of The Temptations’ “My Girl”. We traveled to Eastern Sound in Maynard, Mass, where I guess by dumb luck we got veteran producer Ray Fournier. It was a good thing he knew what he was doing, because certainly none of us did. I think Ray was as genuinely overwhelmed by how well we could sing, as he was underwhelmed by our playing. Still, he seemed to capture the type of mysterious, almost psychedelic feel we envisioned for “Search Your Soul”. Alas, reality bites. None of the record companies, none of the regional record distributors, and none of the regional radio stations seemed in the least interested in “Search Your Soul”. We did get local distribution and airplay, so we covered some of our costs and got the thrill of hearing ourselves on the radio. We also sold a moderate number of the 45’s at our gigs. But it wasn’t our ticket to stardom. That fall was really when things unraveled. Rick went back to Florida. John, on the other hand, didn’t return to Maine. Since I was fairly close, we thought we’d keep things going. John started playing bass. An old friend and very versatile player, Roger Plouff, returned from a tour of duty in Vietnam. He played mostly keyboards, but could play almost anything. As might be imagined, Roger was a pretty high strung personality, and could at times be pretty difficult. Both Bill and Oodie quit in short order. But still we didn’t disband – Roger played drums. The end came when Rick returned for a visit over the Holidays. John was on bass, and this guy Roger was on drums. Time and distance had taken their toll. Rick didn’t see a place for himself and left the band. Rick, John and I were no longer a band. That was the apparent end of the Shadows of Time. John, Brian, Roger and myself actually stayed together as a band for some time, but it really was a different band. We changed the name to Lord Timothy (in honor of a local 19th century eccentric). We were louder, heavier, certainly less naïve, and played throughout New England . Then, over the years, our work, our individual interests, our experiences, have led us in varying directions, sometimes converging, more often not. And yet there has always been some sort of common bond – we’ve stayed in touch, sometimes joking that being a Shadow is a Life Sentence (gives new meaning to The Shadows of Time!). Over the years some of us began to be aware that somewhere, somehow, some people had taken notice of “Search Your Soul”. Brian, Rick and I had all been contacted at some point (late 80’s, early 90’s) by people looking for original copies. Really, there weren’t many left, and we were only too happy to oblige (indeed, I think most were given away gratis). Some things never change – we always were late bloomers. But back to the Life Sentence thing. Maybe it’s midlife crisis. Maybe it’s Garage Band nostalgia. I’d rather think it’s because we still really are a band…you know, us against the world. In June of 2001 Rick needed to venture back to New England (some family estate matter). He called in advance to let me know he was coming, which gave me the time I needed to contact all the guys (except for Oodie, who regretfully passed away several years ago). We had the type of reunion that most can only dream of – getting together not just to reminisce, but also to do exactly what we did 35 years ago…play music together… John, Rick, Brian, Teddy and myself (Bill couldn’t make it). It was pretty shaky at first, quite a few rough spots throughout, but no doubt about it, The Shadows of Time were still a band. And the whole session was recorded. A fitting end? Nope, it’s a Life Sentence. Over the winter I heard from Rick often, and he sent me some rough recordings of some original tunes he had. He told me he wanted to come back up for a week or so, and hoped we could get together to work on some original stuff. We did better than that. For two weeks this past summer we got the band together every day. 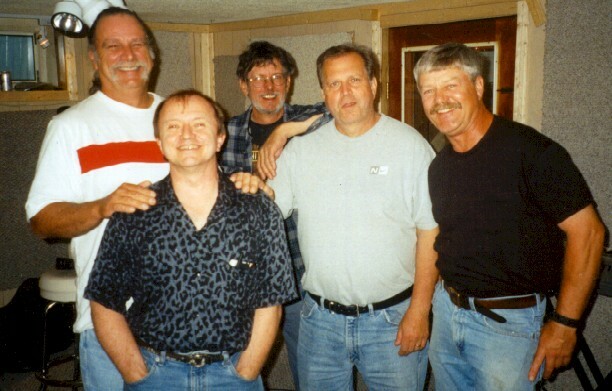 We put together 5 original tunes – two of Rick’s, one from Brian, one of mine and one from our good friend Dave Currier. Then we spent 2 days laying down tracks at Dave’s studio in Methuen, Mass. The tunes are presently being mixed down. These original tunes, together with a few samples of the 2001 reunion, will soon be released on CD as The Shadows of Time – “Can’t Let Go!”. The Shadows of Time. We’re a band you know, and it’s us against the world. A very interesting & unique remix of the 1969 classic "Search Your Soul"
Some live recordings made during the 2001 jam reunion. Want to listen to a few sample clips? These vinyl 45's on the SOL label are in their original (brown paper) sleeve. All are in excellent condition - in fact, most have never been played. So where are The Shadows now? And what have they been doing all these years? Shorty splits his time between his home in Newburyport, and his farm in Costa Rica. John Lowell - He continued playing bass and singing for several bands through the 70's and into the 80's, including Lord Timothy, Owl & Entourage. He now works for Enpro, an environmental management company, and resides with his (ever expanding) family in Amesbury, Massachusetts. Rick Eck - He's continued to play bass off and on over the years. Though he moved back to Massachusetts after college, he subsequently returned to Florida. He now resides with his wife Nikki in Kissimmee, and does industrial maintenance at Cape Canaveral. Brian Chase - He never really stopped playing keyboards and singing for various bands, including Lord Timothy, Owl, Lickitty Splitt and others. Sadly, Brian passed away in December 2003. Teddy Stanwood - He stopped playing the drums after leaving The Shadows - but he kept them in "mothballs". He enthusiastically started banging on them again when The Shadows had their reunion jam. Teddy was, and continues to be, a great auto mechanic & works in this capacity for the City of Amesbury. He lives with his family in Salisbury, Massachusetts. Bill Roberts - After leaving the Shadows he never played drums again. He stayed in Newburyport, where he raised his family. He was owner/manager of the Graf Skating Rink in Newburyport. Bill died in April 2007. August 2003 - The Shadows were booked to play their own 35th high school class reunion. What a blast! But on a sadder note, this was Brian Chase's last performance. August 2005 - The reunited for 2 performances this year. They repeated their concert appearance in Hampton Falls, NH. Then, with Rick handling most of the logistics, the band sponsored its own "event", raising money in the name of Brian Chase to donate recording equipment to Newburyport High School. August 2006 - Another 2 performances this year. With Rick on Keys, John L on bass, the band performed again in Hampton Falls, and played a private party at Teddy's house, which raised about $800 for the Martha Jean Hill Scholarship Fund. July 2007 - The band played a repeat concert in Hampton Falls on July 26. Then, on the 28th the band supplied music to old friends at the reunion of Newburyport HS 1967! 2008 On July 24th the band performed their annual Hampton Falls concert. 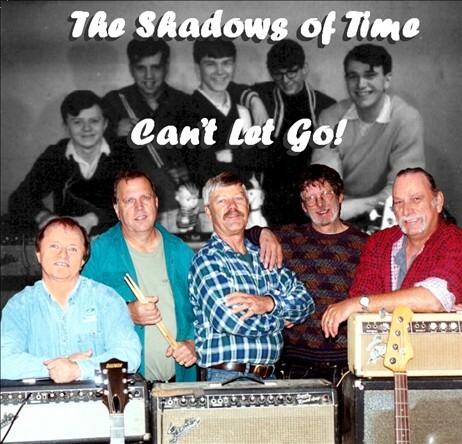 On July 26th The Shadows provided the music for the reunion of Newburyport High Class of '68. What a blast! 2012 A repeat of "A Walk Back In Time" A lot of fun and Very $$$ Successful $$$! "...and the band plays on"
Search Your Soul - The Shadows of Time. This is from the original 1969 master tape. Brian wrote the song, sang the lead vocal, and played organ. I Love You So - Lokey Studio recording. Summer, 2003. This clip is taken from one of Brian's last compositions, and was his last completed recording. April 2007. Bill Roberts left us. More than anyone, Bill was the person who transformed The Shadows from a group of fun loving teens into a band of young adults with goals. Thanks Bill.